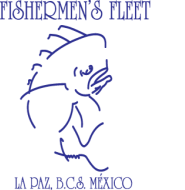 The Fishermen's Fleet, located in La Paz, Baja Califonia Sur, provides some of the best light tackle big game sports fishing in the world. We fish in the legendary waters of Cerralvo Island, Punta Arena, The Bajo, and the northern end of the territory known as The East Cape. Excursion trips to San Carlos and the area known as Mag Bay are also available. 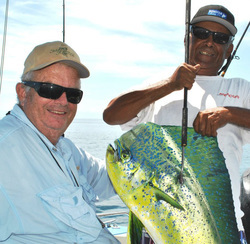 Started over twenty years ago, and featured in the news (The New York Times, Pacific Coast Sportfishing) and on television (ESPN, The Outdoor Network) The Fishermen’s Fleet is the oldest and largest sport fishing business in La Paz. Owner/Operator David Jones moved to Baja with his wife to raise their three children and fulfill his dream of making a living doing what he loves: Fishing. With the most experienced Captains in the area and customer service that is second to none, The Fishermen’s Fleet staff strives to provide a quality fishing and vacation experience for all. Dorado, marlin, wahoo, roosterfish, giant snapper, tuna, grouper, amberjack, sailfish and more are all available depending on the time of year that you choose to fish.